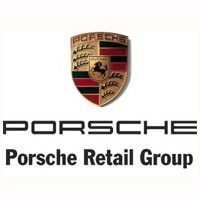 The Porsche Retail Group is one of the UK’s largest Porsche dealer groups. With five locations across London, Surrey, Berkshire and Hertfordshire, Porsche Retail Group dealerships sell cars from the iconic German marque to customers in the south east of England. At each Porsche Retail Group showroom, you’ll find an extensive choice of new and approved used Porsche models. Every branch is equipped to offer aftersales, and servicing and repairs are done so by trained Porsche technicians. Car financing is also available, as is contract hire packages for business owners. The history of Porsche in the UK can be traced back to Archibald Frazer Nash. In 1954, Nash carried out the first sale of a Porsche vehicle in the country. Eleven years later, Porsche Cars Great Britain Limited was formed, becoming the sole importer of Porsche vehicles in both the UK and Ireland. Porsche Retail Group was formed in 2003, and is a subsidiary of Porsche Cars Great Britain Limited and, as such, holds the official seal of approval to sell vehicles from the company. Today, it operates two Porsche Exclusive Flagship Dealers, one Classic Porsche Partner Centre, and the country’s only outlet which specialises in the Porsche 918 Spyder. All vehicles sold by Porsche Retail Group have been made by Porsche. Take your pick from a selection of new cars like the Porsche 911 and Cayenne, alongside a range of used models from the manufacturer. The company’s Hatfield centre, as a Classic Porsche Partner Centre, is equipped with the expertise to help owners of classic models maintain and, if need be, repair their beloved vehicles.